Tracey Bowes is blonde, brightly blue-eyed, and stands maybe 5 feet and 3 inches tall. She's very fit — she says she enjoys running and playing tennis. Her voice is soft and unassuming. She is a self-proclaimed book snob (she's currently reading an advance copy of a novel entitled Baby Teeth) and enjoys playing cards (euchre and spades to be exact). 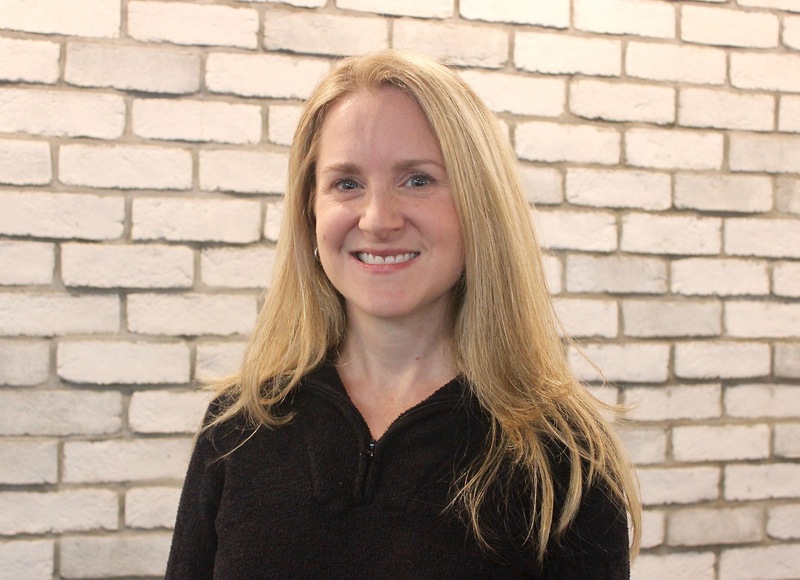 It's hard to imagine her yelling, or demanding in a courtroom, but before she sold her soul to the world of bookselling, she was a successful litigation lawyer in Pittsburgh and Erie, later taking time off to focus on raising her children. Eager to jump back into work now that her kids are older, she's opening Erie's newest independent bookstore, Pressed, in the Greengarden Place plaza, situated across from Frontier Park and directly next to Romolo Chocolates. The store is nestled amongst three other female-run and owned businesses: PopLuck Gourmet Popcorn, Trellis, and Donatos Pizza. "I sort of always wanted to open a bookstore but in the vague way that everyone who reads thinks would be a fun dream job," she recollects. "I'm in a book club, and we would talk a lot about what was going on in our personal lives and mine was, 'what am I going to do next?' It was just perfect timing that we had space and it was available. It was now or never." The store, which also hosts unique gifts for people of all ages, opened April 25th (just in time for this year's Independent Bookstore day the following Saturday) and has 3,000 square feet of pure book bliss, with another 1,000 square feet dedicated to the attached café that her husband Casey, who owns the plaza, insisted they include in the store — which will also host unique gifts for people of all ages. After a few minutes it becomes clear that Bowes is smart, articulate, and well-read. She's deeply dedicated to providing Erie with a quality shopping experience. There is a sense that she puts this much intensity and energy into all of her endeavors. Of course she's a lawyer. Never judge a book by its cover. The bookstore includes 1,000 square feet of children's books where a small tree house is tucked in the corner. Bowes has gone out of her way to decorate the room with whimsical wallpaper equipped with ceiling lights that look like the tops of trees. In fact, the entire open-concept store is rife with details. There's a lime green accent wall by the bathrooms that hosts book-printed wallpaper, checkered black-and-white tile in the café (a design aspect her husband actually chose), and clean Scandinavian lines throughout. "We started this over a year ago; it's been a long time planning" she says laughing, perhaps in awe of her own endurance. "This was just a blank space, which is great because you can make it your own, but on the other hand, nothing's done, so every little thing has to be picked out and made." Although one bookstore doesn't constitute a grand resurrection, it does speak to the quiet revival of independent bookselling in the United States. And it's the community-based, brick-and-mortar shops that are on the upswing, not the presumed, large book chains. This is an ironic turn from a few years ago, when publishers and consumers alike projected that the rise of big, online shopping sites like Amazon, and also the digital era of book reading, would obliterate independent bookstores. Instead, the American Booksellers Association actually reported a 20 percent increase in independent bookstores from 2009 to 2014 (during the recession). Bowes mentions our culture of screen fatigue. "People are starting to seek out tangible experiences again," she states. The tech era — where digital copies of magazines and music are as common as Trump saying his name and Google glasses were believed to be a good idea — dare say it, isn't cool anymore. People want their pages back. They want to go to a physical store and walk around, because online retailers cannot offer this experience; you're less likely to happily stumble upon a new author or publisher while searching Amazon, you have to know exactly what you're looking for. It could be argued that part of the evocation of literature is partially the buying process itself — the art of browsing! "I want to make it pleasant and satisfying, and more of a fulfilling experience, to actually go into a store and talk to a person and look around," says Bowes. 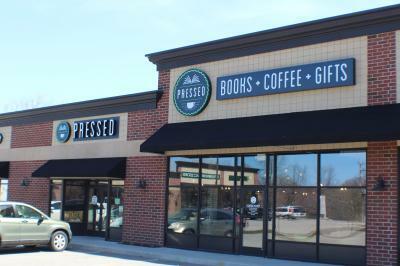 Future plans for the store include a children's story time, birthday party rentals, author book signings, and readings from local and national writers. "One thing that has struck me about the bookstore community is that everyone really wants to help and see each other succeed," says Bowes. "It's not at all competitive or cutthroat." This sentiment most certainly differs from the courtroom.